Happy Guy Fawkes Night, everyone! 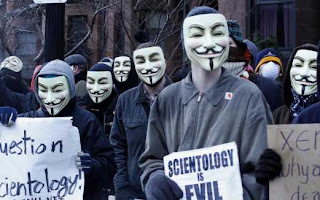 Yes, time to put on your Guy Fawkes masks, buy a truckload of firecrackers and drink wine to celebrate the night that eight conspirators were put to death for treason and for the night hugely celebrated by the eponymous V from the movie V for Vendetta. So what is the real significance behind this night? Well, I guess it’s time for a little history lesson then. Gather around, children. I’m going to tell you a tale of men who became legends of their time. Once upon a time, during the start of the 17th Century, Great Britain saw the rise of a new ruler, known as King James VI of Scotland and King James I of England and Ireland. 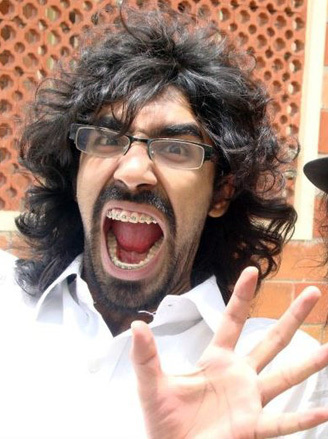 Like most kings of England, he was a pompous arrogant douche, who pronounced butter as “bu’er” and had really bad dental. Following his ascension to the throne, a lot of people expected governmental changes, especially the English Catholics who had been repressed and persecuted for their beliefs. They were, sadly, disappointed by the king’s response which involved him promptly telling them to “bugger off” and “eat his fluffy shorts.” (some citation needed). But don’t blame the king entirely. Times were pretty crap before his ascension to power. The Parliament, as a whole, had decades of notoriety for oppressing the non-conforming English Catholics. The previous rulers imposed such penalties as fines for recusancy (refusal to attend Anglican services) with repeat offenders faced imprisonment and even execution. Catholicism was, more or less, forbidden and anyone practicing it would face torture and severe prosecution. The monarchs at the time had a real stick up their asses for anyone who didn’t follow their religion. And so they did. They planned to have King James killed and have his nine-year old daughter, Elizabeth, on the throne since she was Catholic and way cooler. 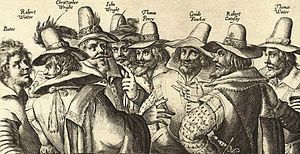 So, on the 5th Of November, 1605, while everyone sitting in the House of Parliament, including King James, was together the conspirators planted 36 barrels of gunpowder which not only kill their asses but also completely level the House of Parliament into nothingness. They were, however, caught before the explosives could go boom. Some died in pursuit. The rest were tried for treason, prosecuted and consequently sentenced to be hung, drawn and quartered. And thus, that night is forever remembered, as the night 13 bros attempted to set off the coolest of most epic fireworks display the world would ever see. The Guy Fawkes thing also blew up pretty big. The Guy Fawkes mask consisted of a pointy white mask with eyebrows, a pointy beard and a wicked cool smirk. Poor kids of those days would wear the masks and say, “A penny for the guy.” This act of defiance was of such epic proportions that it eventually set off a revolution of sorts against the oppressive rulers who had a thing against Catholics. Even today, it’s being used as a symbol for defiance against retrogressive impositions of law that infringe the rights and freedoms of people. 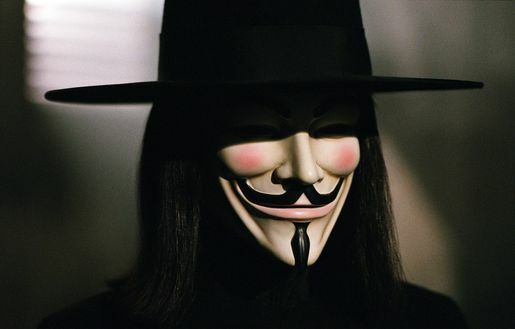 For all those people who still haven’t seen V for Vendetta, do so now. It’s a modern day adaption of the infamous story of conspiracy, except it focuses on a singular character and his chick sidekick and it really proves that alliteration, top hats with a Guy Fawkes mask and knives are pretty damn cool. So celebrate tonight by blowing up the parliament while loudly playing the 1812 Overture by Peter Illych Tchaikovsky on full volume and putting on your Guy Fawkes masks. Tonight is a night of Gunpowder. Tonight is a night of Treason. Tonight is the night of Plot. Tell me. Do you like music, Mr Finch?